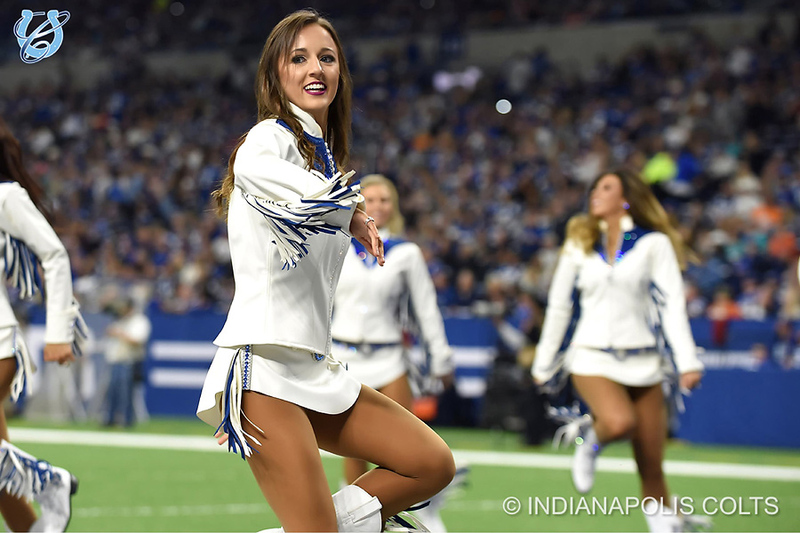 Audition choreography will be taught starting at noon and performed immediately afterwards. 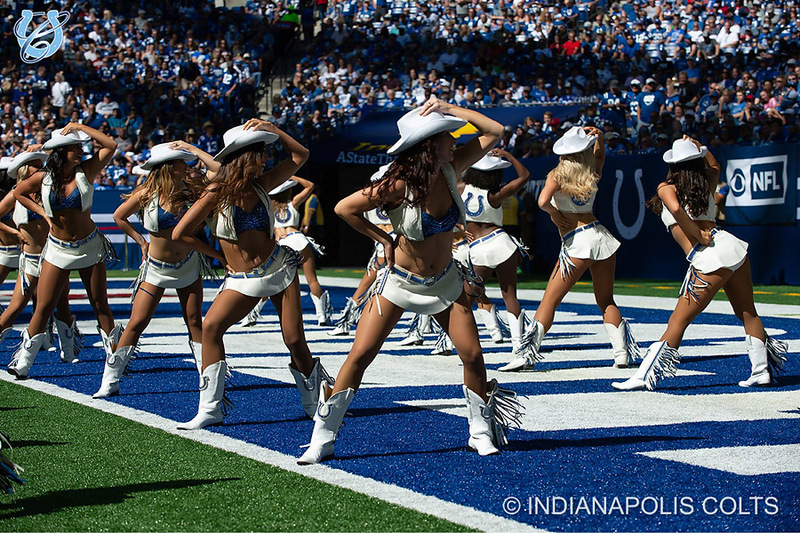 The majority of this choreography will also be taught at the Audition Master Workshop on Saturday, February 23rd. 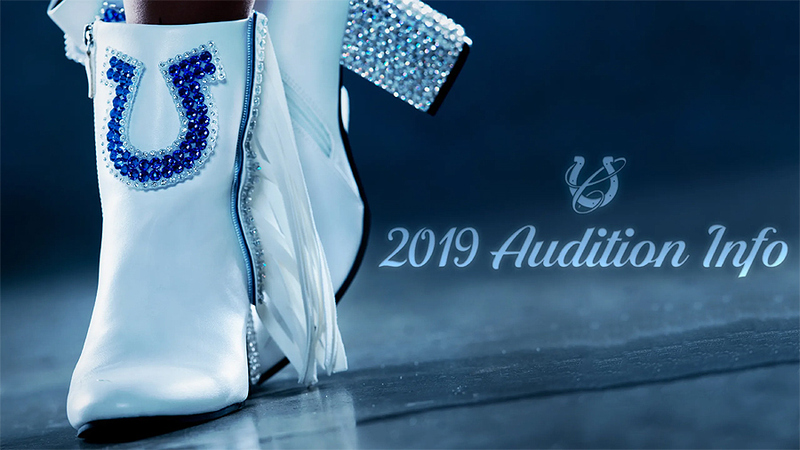 To register for the Audition Master Workshop, CLICK HERE. 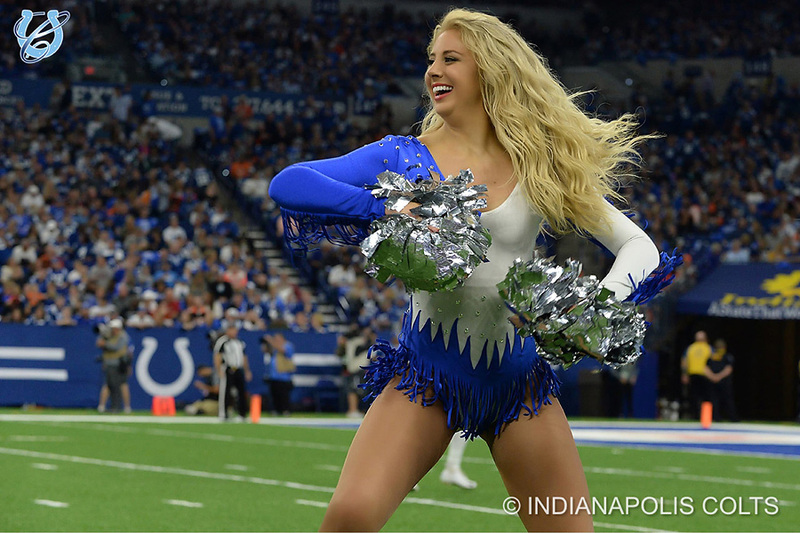 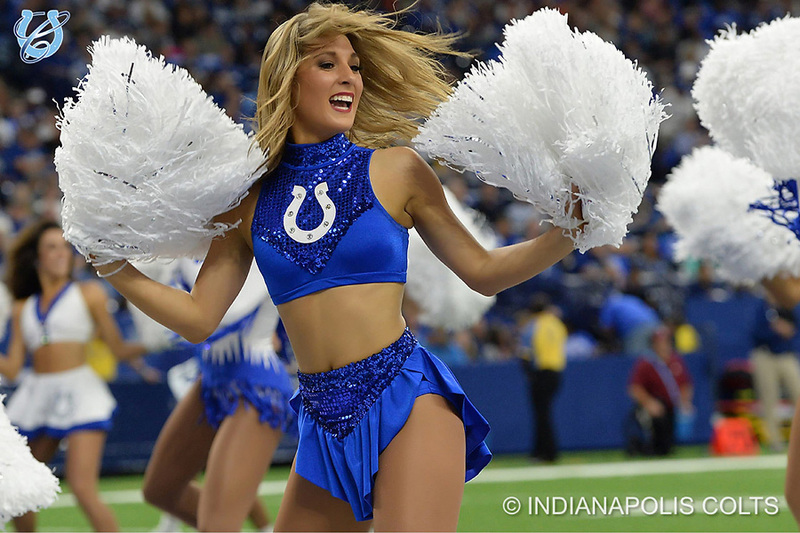 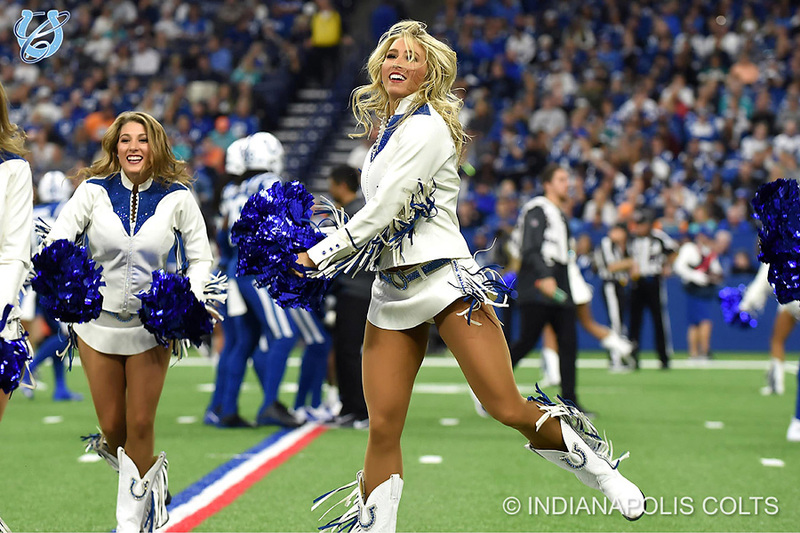 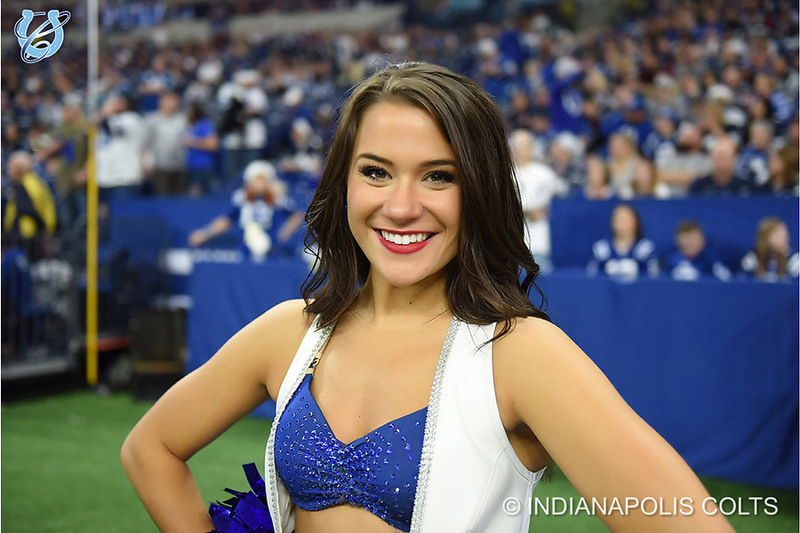 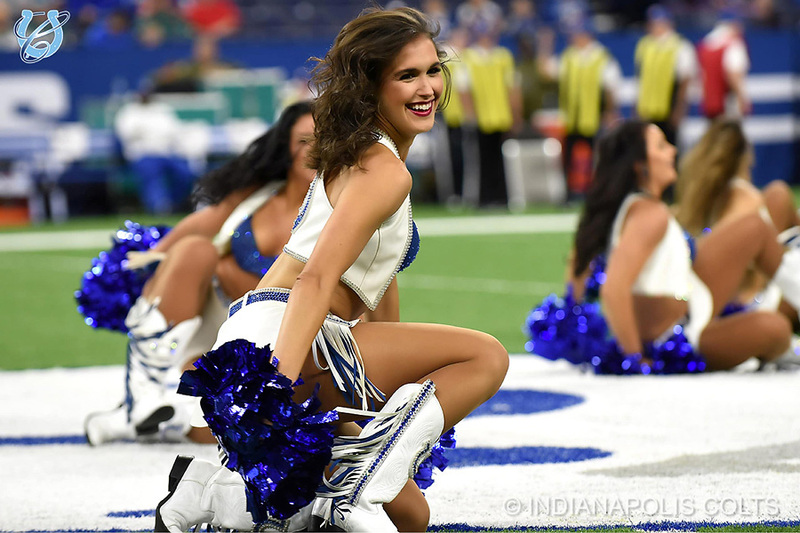 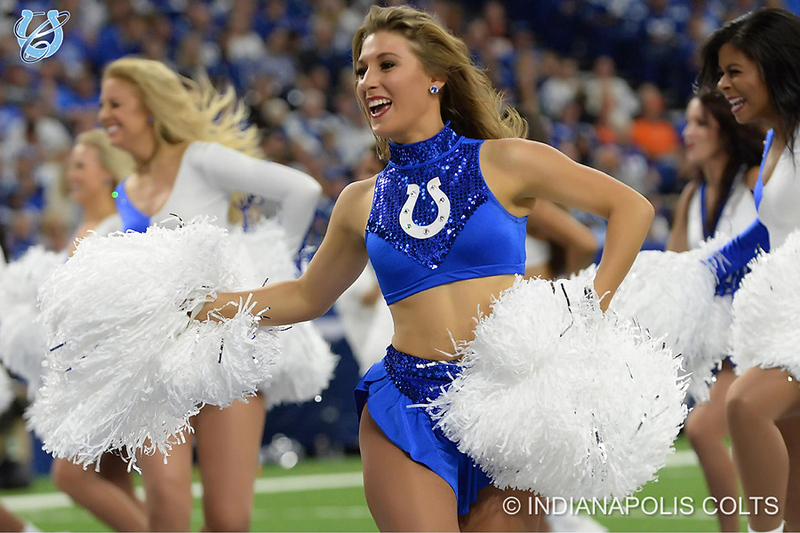 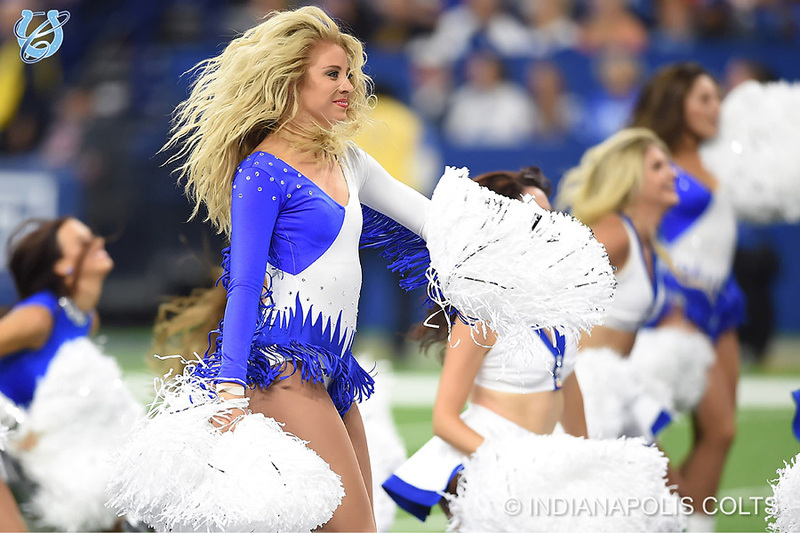 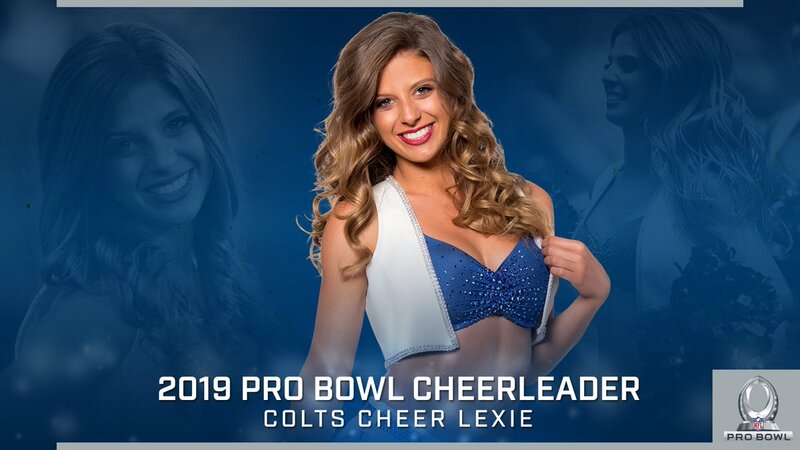 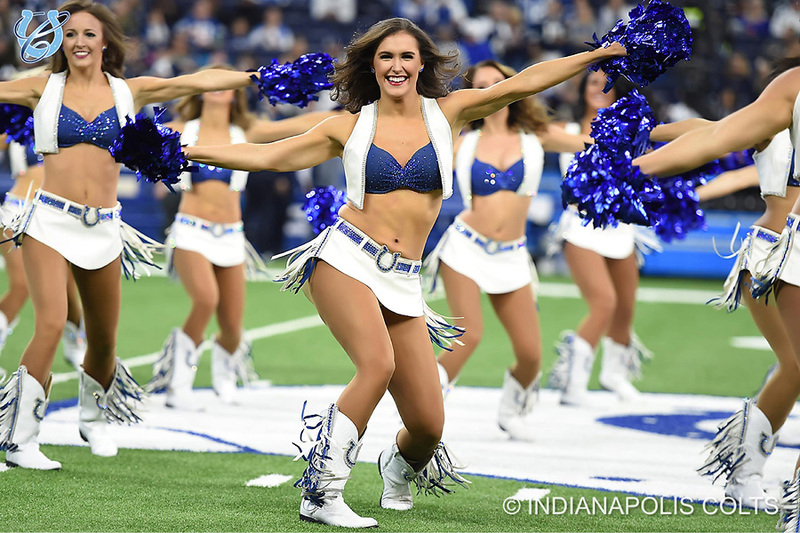 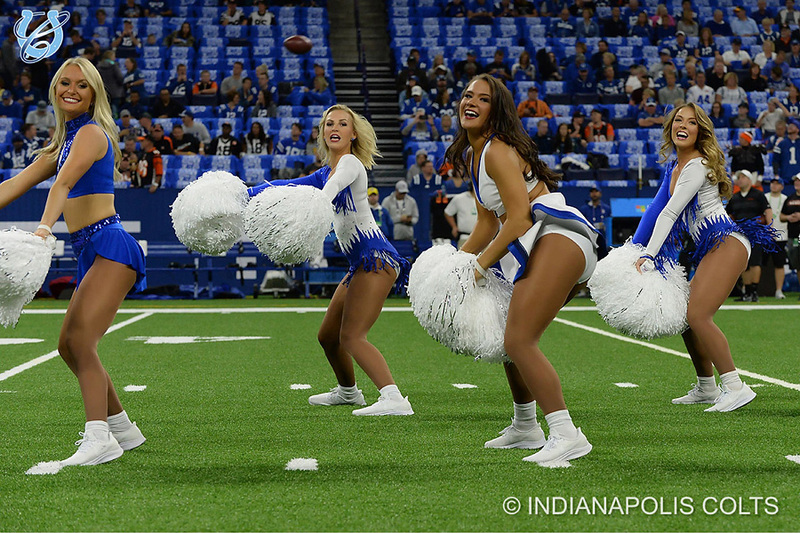 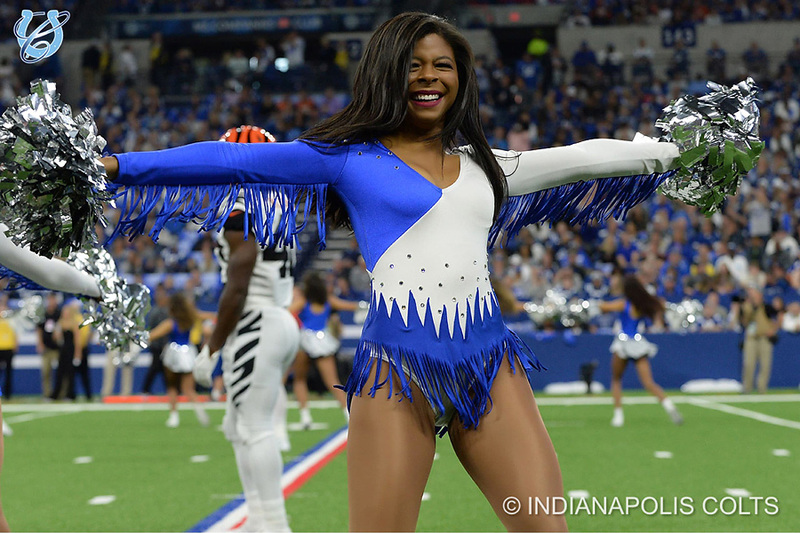 The Indianapolis Colts posted a second gallery of images from Week 15 and these images are of the cheerleaders game day performances that didn’t include their halftime routine. 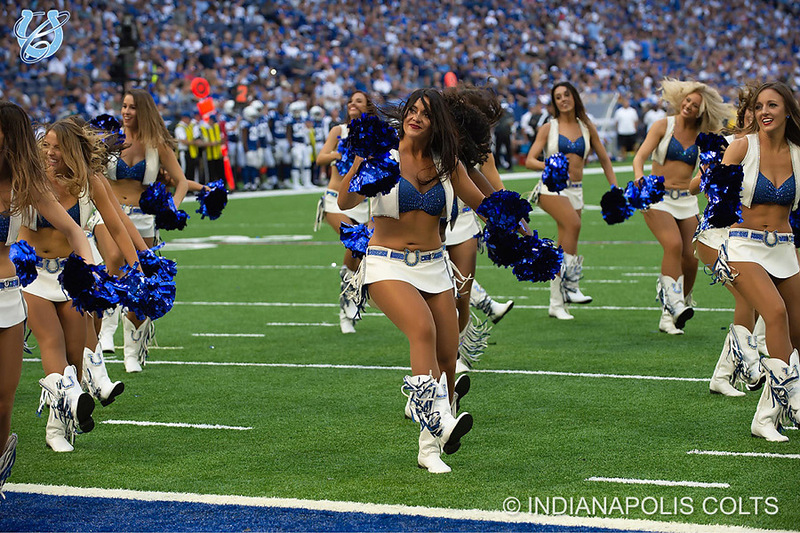 Click here to see their game day gallery for Week 15. 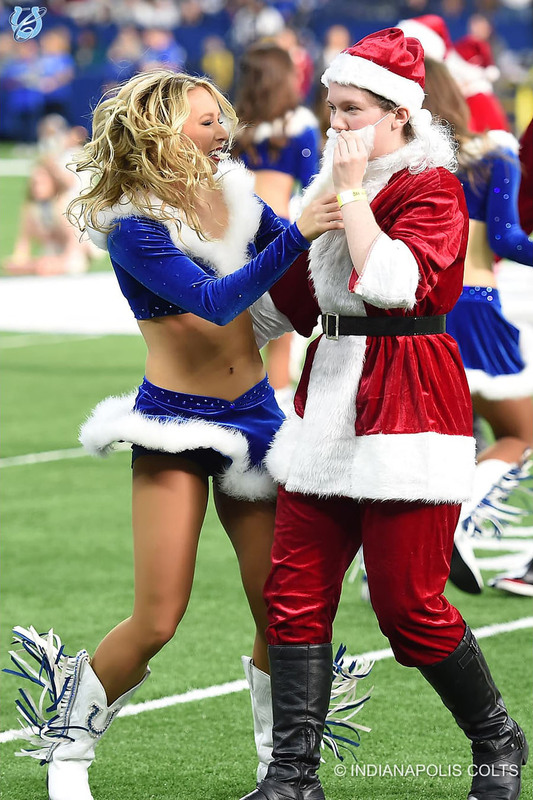 The Dallas Cowboys were riding high on a run of recent successes that had led them into the lead for the NFC East title, but on Sunday, they ran into a buzz saw that brought them back to earth. 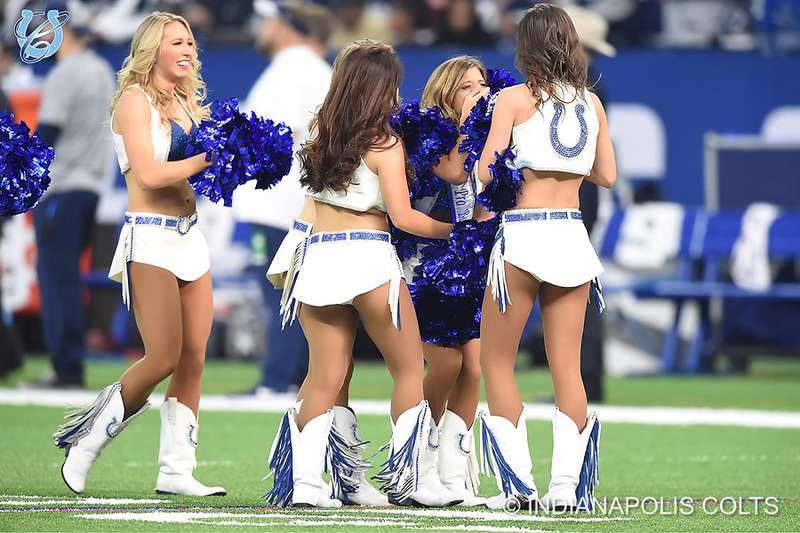 The Indianapolis Colts laid an old fashion beat down on America’s team, decisively defeating them by the score of 23 – 0. 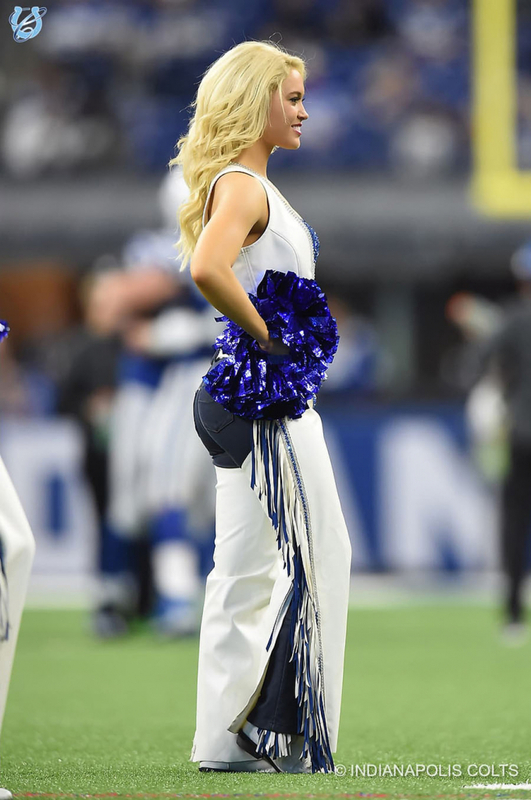 Marlon Mack, the Colts starting running back ran all over the Cowboys to the tune of 139 yards rushing and two smash mouth touchdowns. 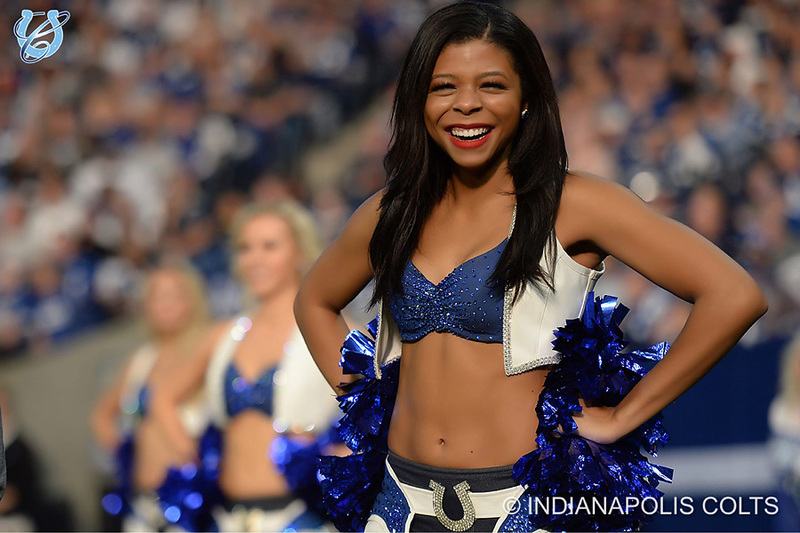 I guess you can say things are looking up in Indianapolis. 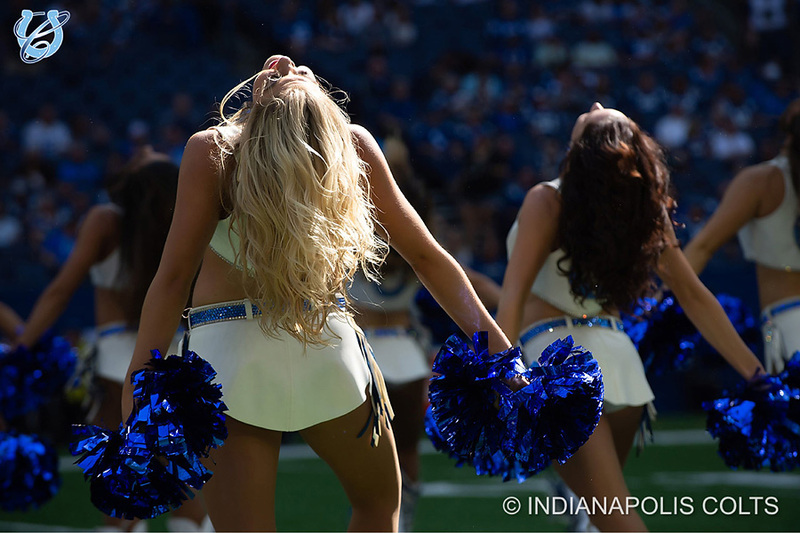 So let us turn our attention to the Indianapolis Colts Cheerleaders and this week’s images. 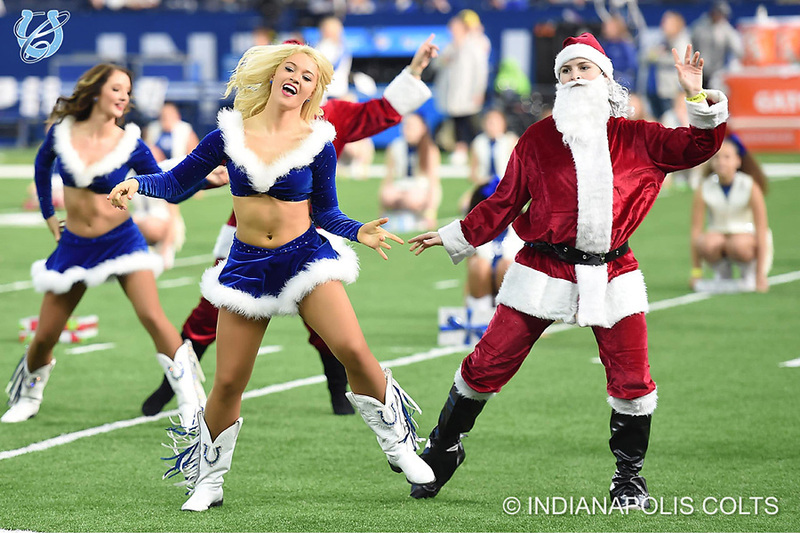 The following photos are from their holiday themed halftime performance. 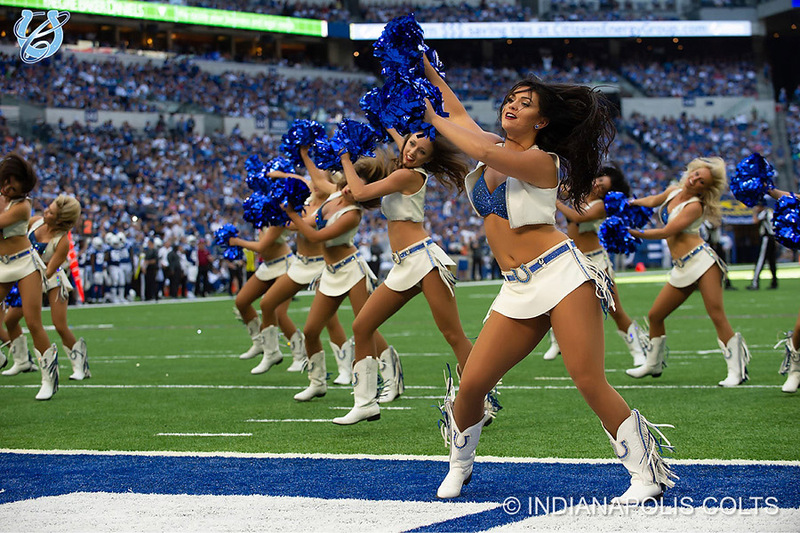 We will take a look at the Indianapolis Colts Cheerleaders regular performance in a separate post. 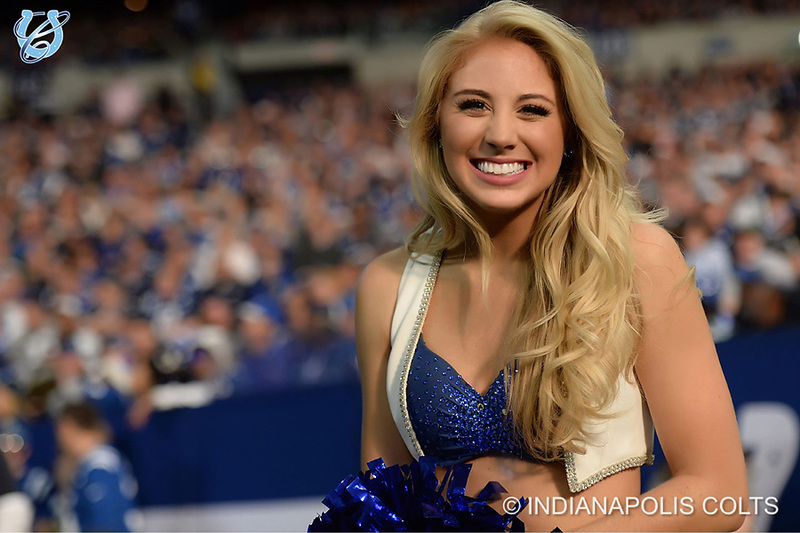 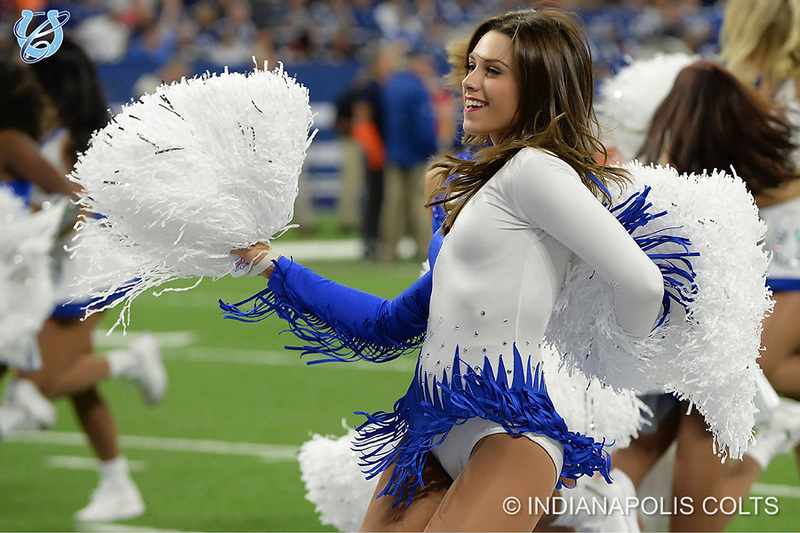 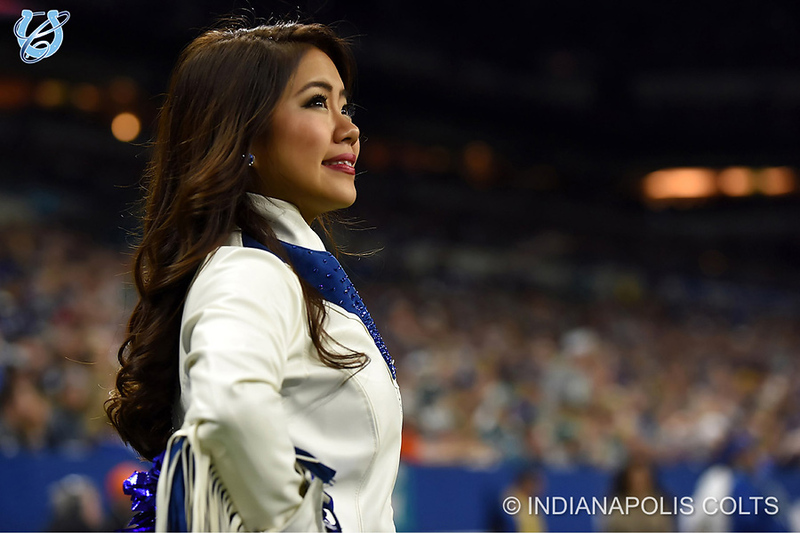 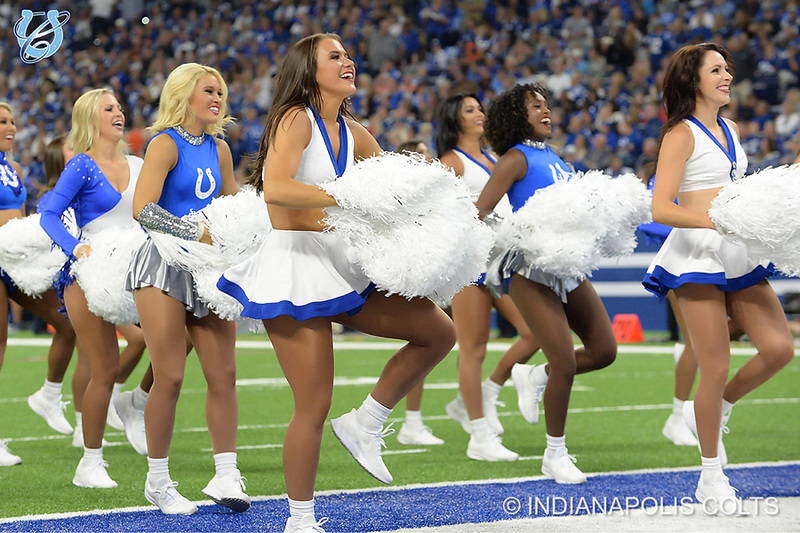 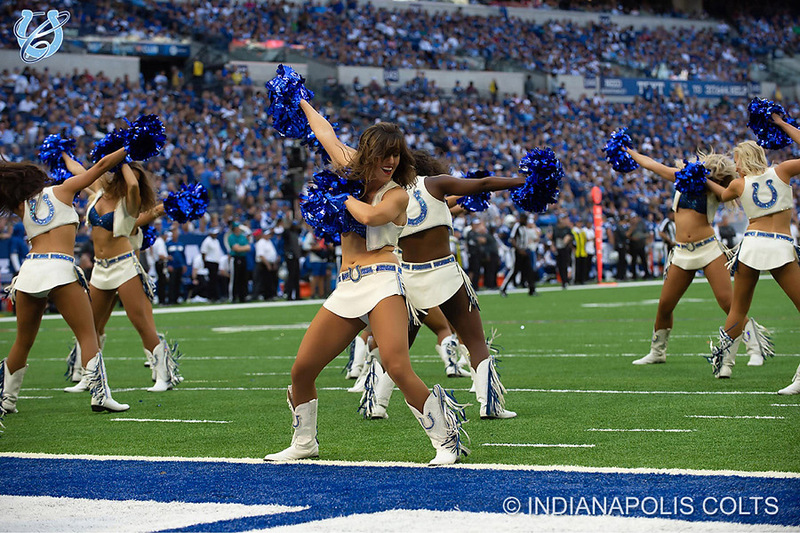 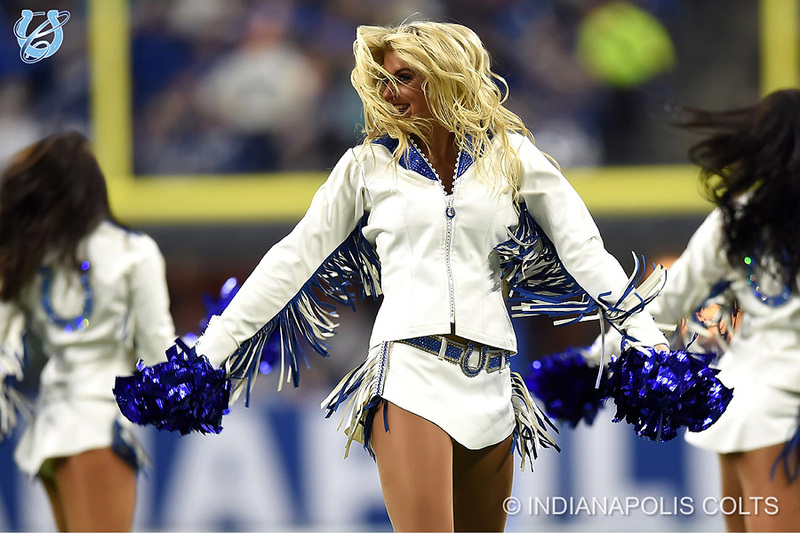 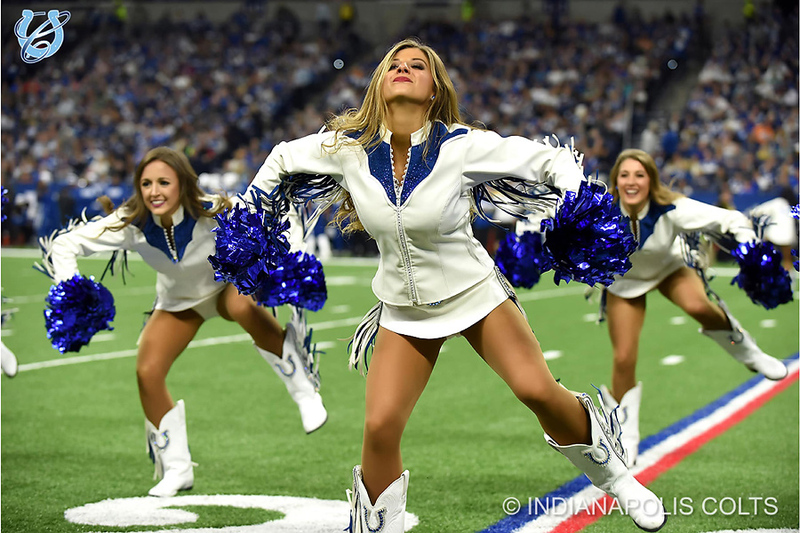 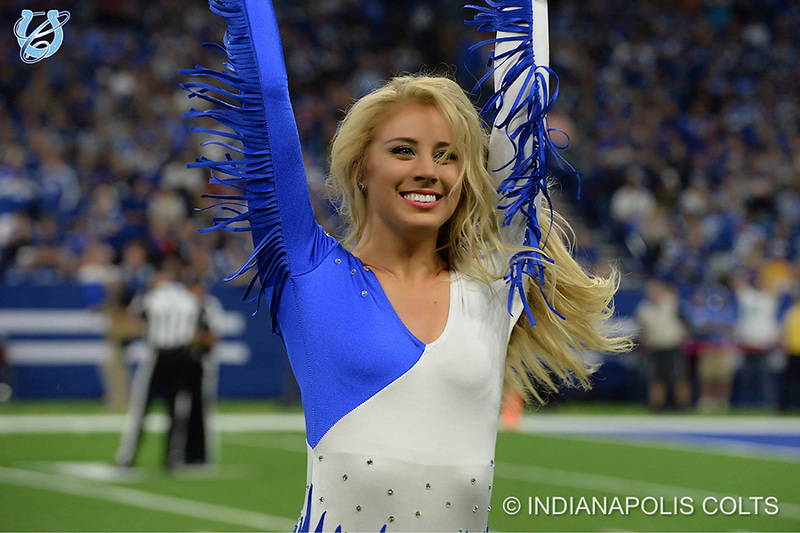 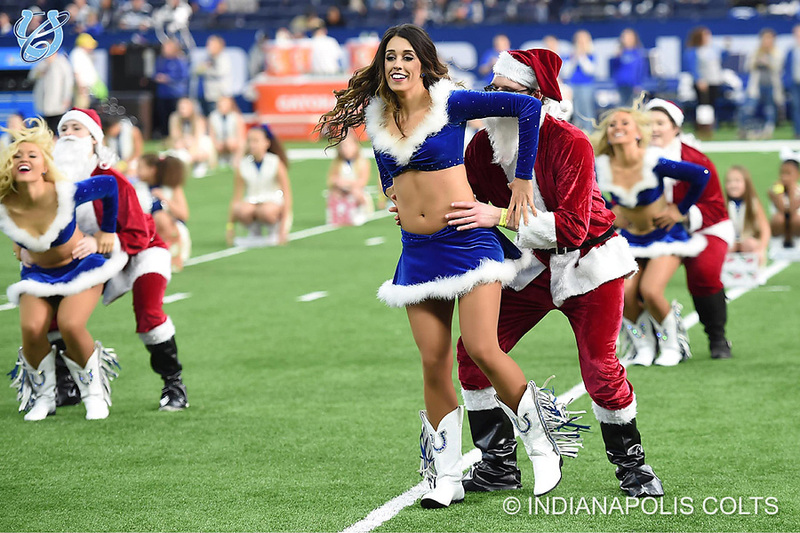 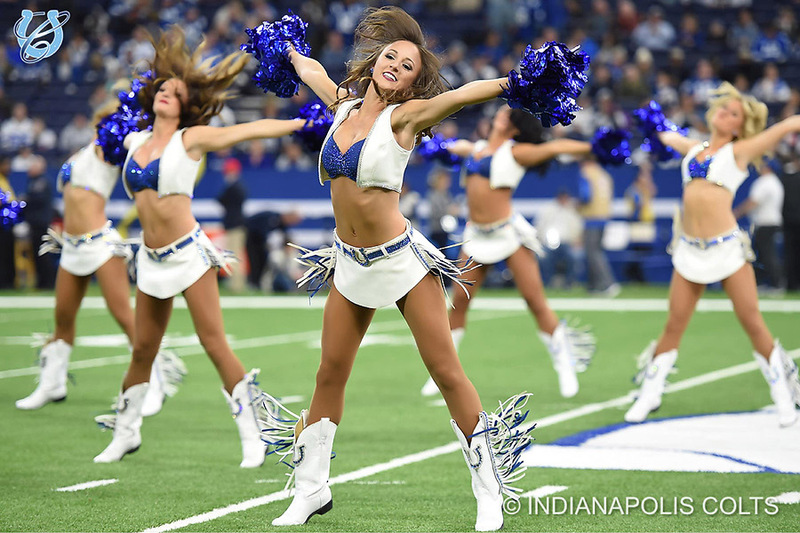 Click here to view the Colts special halftime performance gallery from Week 15. 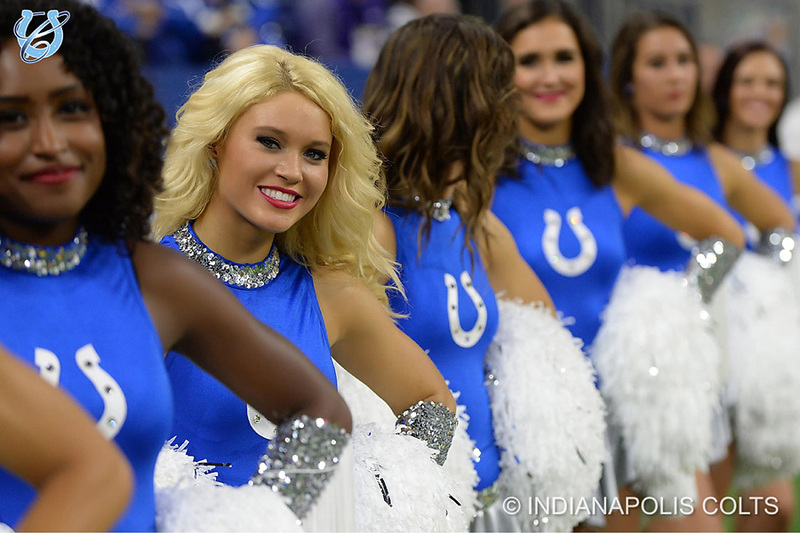 Things are looking up for the Indianapolis Colts. 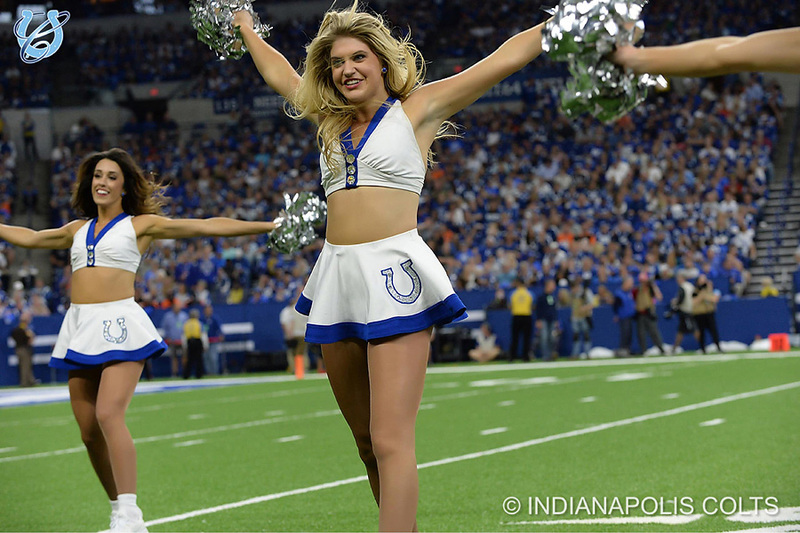 Andrew Luck seems to be fully healed from the shoulder injury that sidelined him for more than a year and it appears that he has returned to his old form, where he was a top five quarterback. 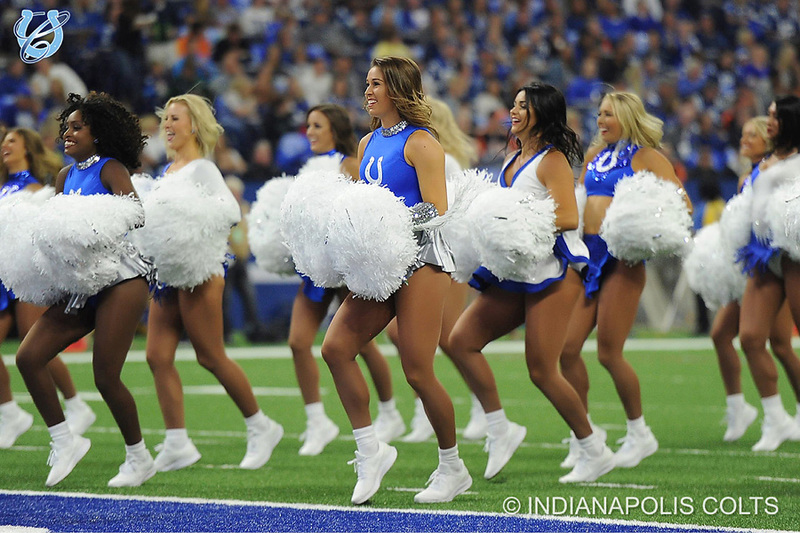 And as Luck goes, so do the fortunes of the Colts, who have already improved upon the 4 – 12 record of last year. 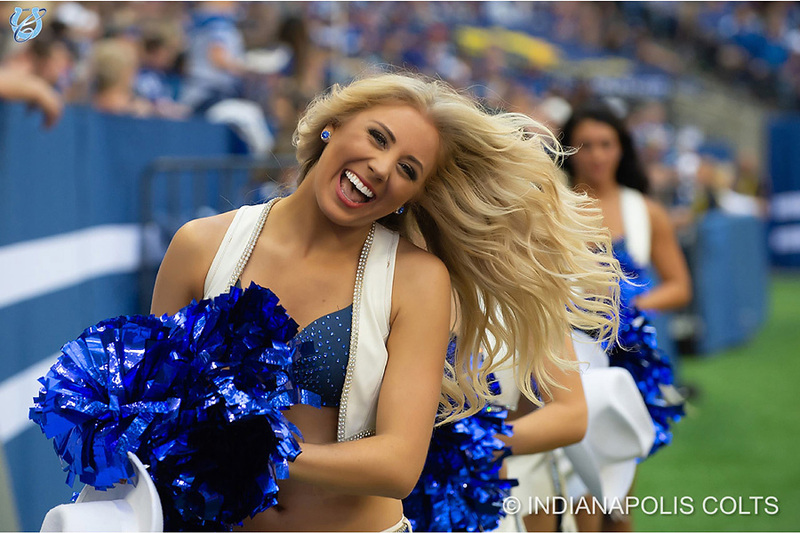 So let us celebrate the return of Andrew Luck with a look at this week’s Indianapolis Colts Cheerleaders photos. 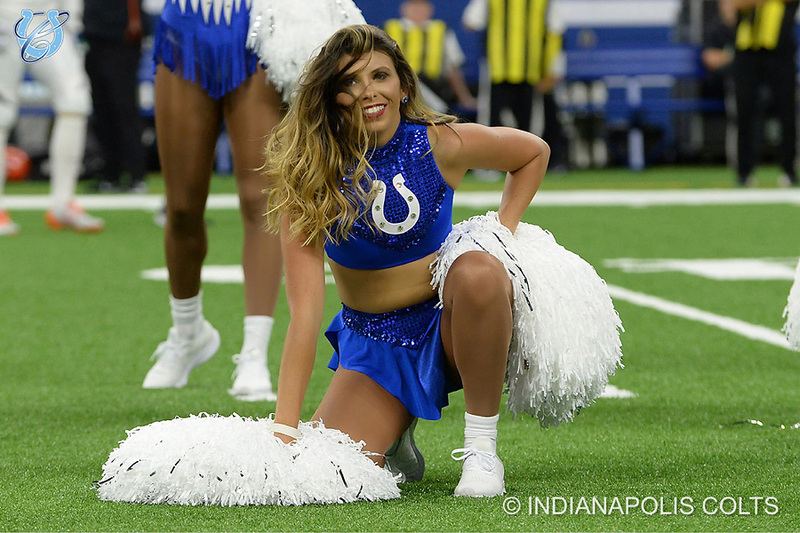 The Colts uploaded a huge gallery of images from their game against the Dolphins and this gallery is filled with some wonderful images.  Click here to view the gallery. 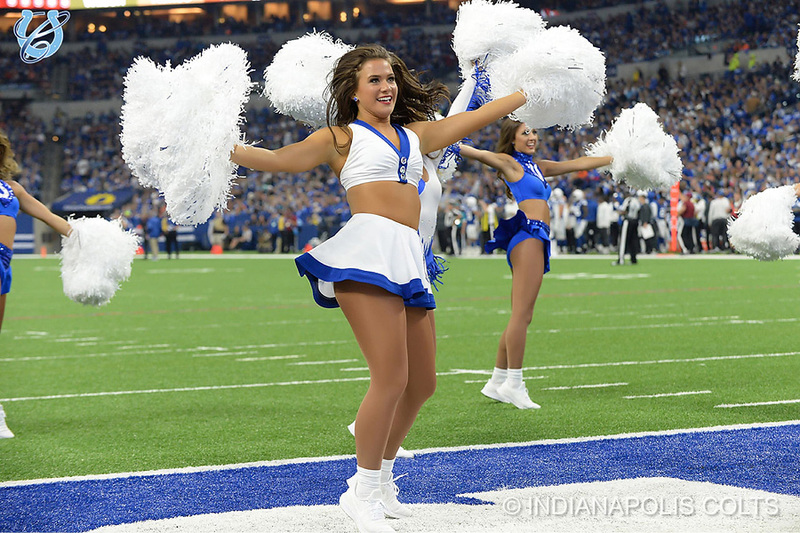 Week 4 of the NFL regular season will be remembered for the number of close games decided by a touchdown or less…there were nine, if you are counting. 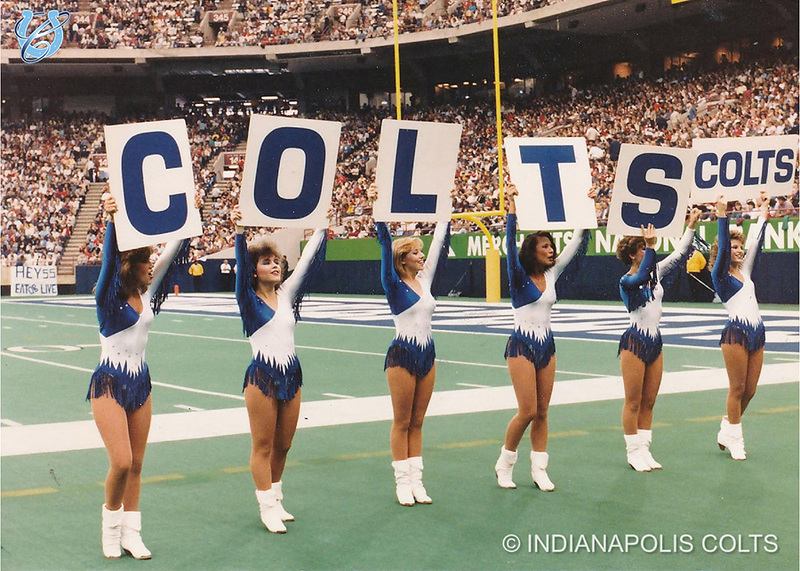 And three of those games went into overtime. 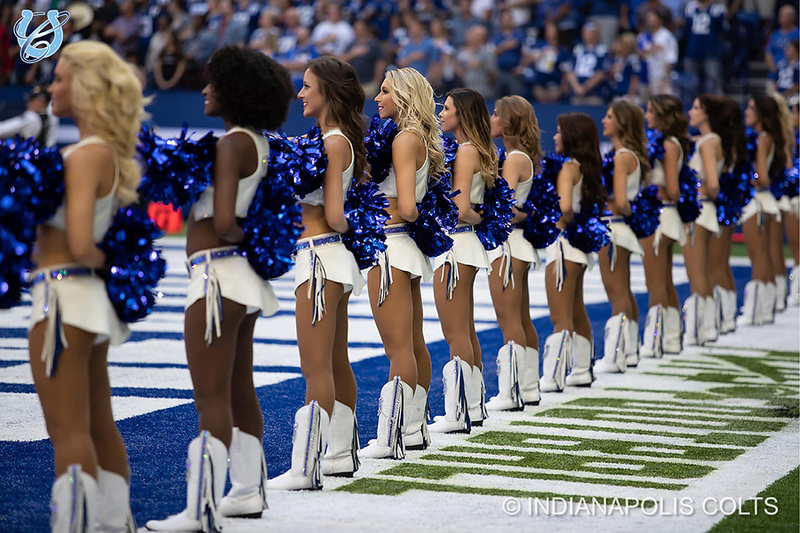 Our next game highlight is one of those overtime contests and it featured a unique symmetry. 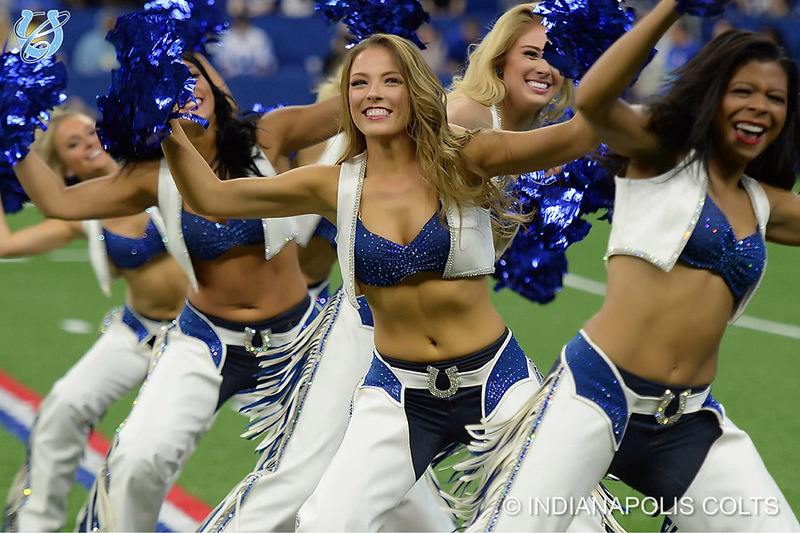 The Houston Texans visited the Indianapolis Colts, looking for their first win of the season and they got it in a unique way. 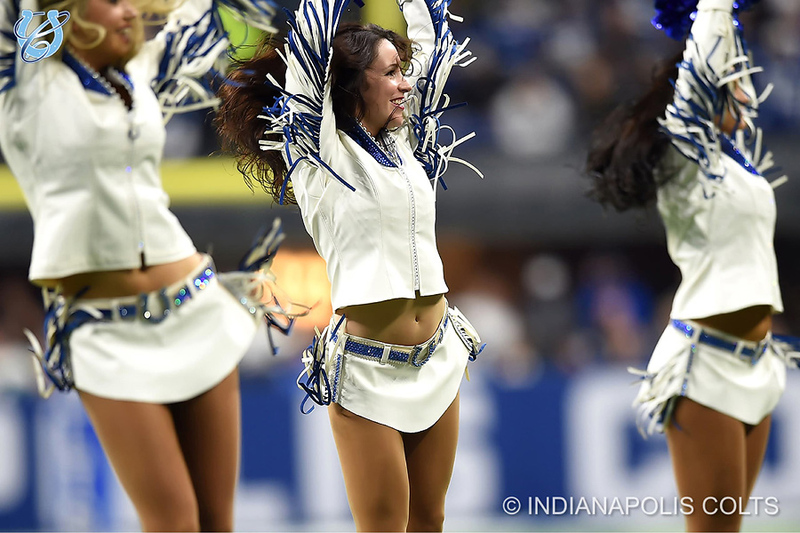 If you look at the box score, you will see that the first and second half scoring were mirror images of each other. 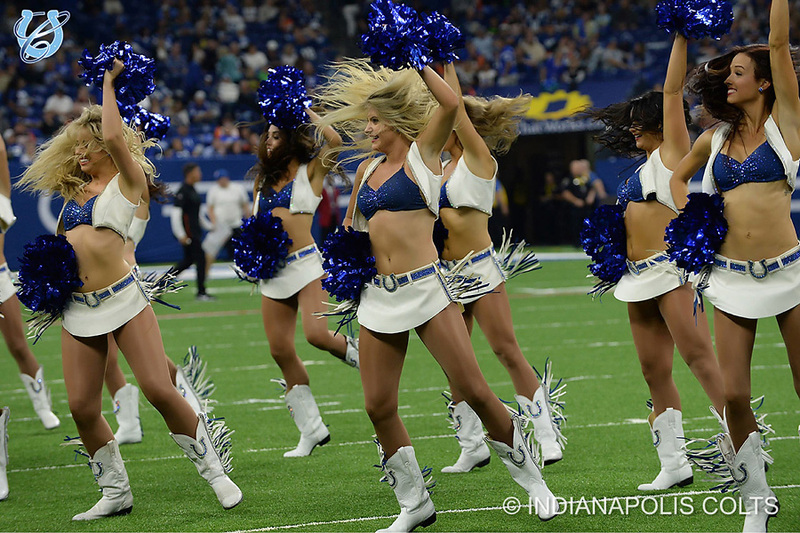 In the first half, the Texans scored 21 points versus 10 points for the Colts. 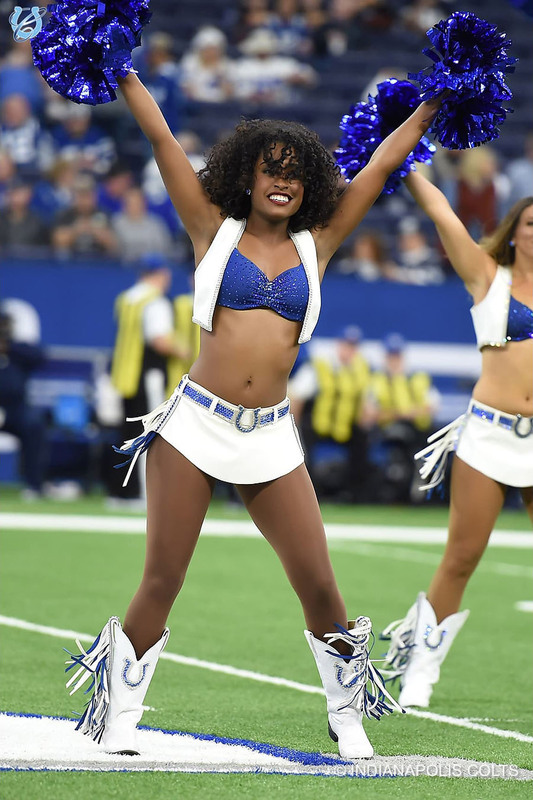 In the second half the Colts scored 21 points versus 10 points for the Texans and the game went into overtime where both teams traded field goals before the visitors scored one final field goal to win the game. 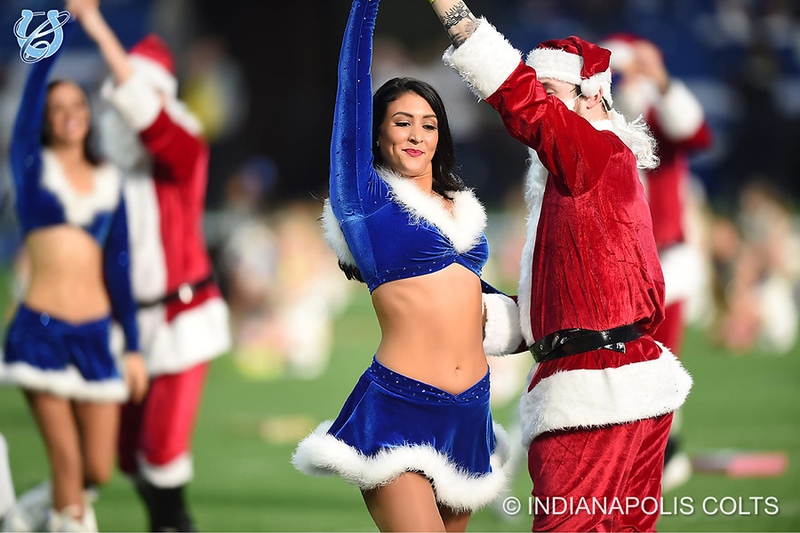 Final score: Texans – 37 (21+10+6), Colts – 34 (10+21+3). 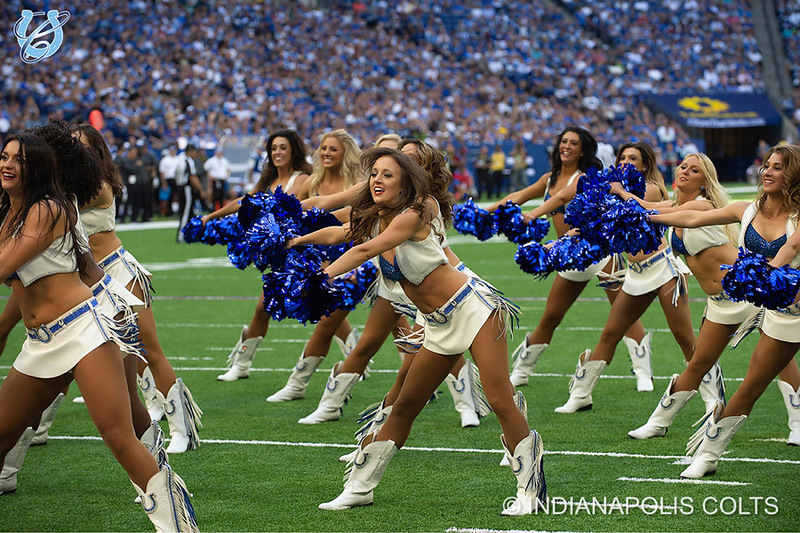 Since this game was played in Indiana, the Colts Cheerleaders were there to cheer on the home team. 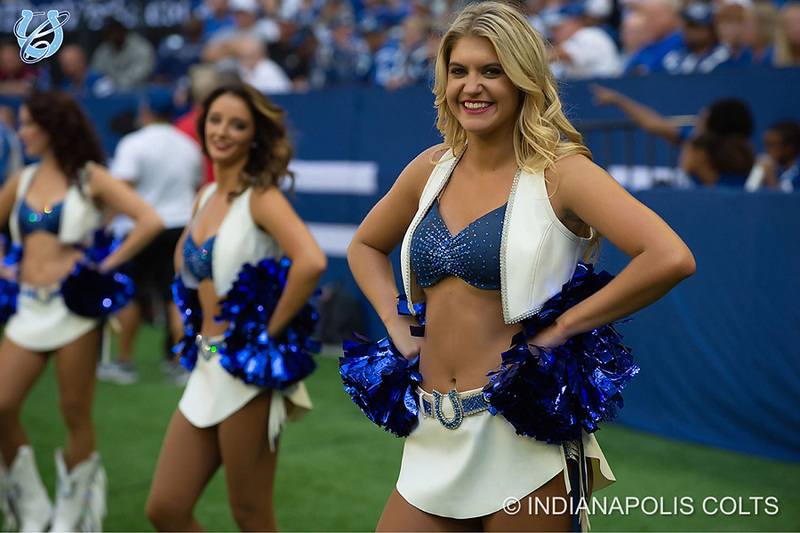 So here are some select photos from the Colts game day gallery and if you want to see them all, click here. 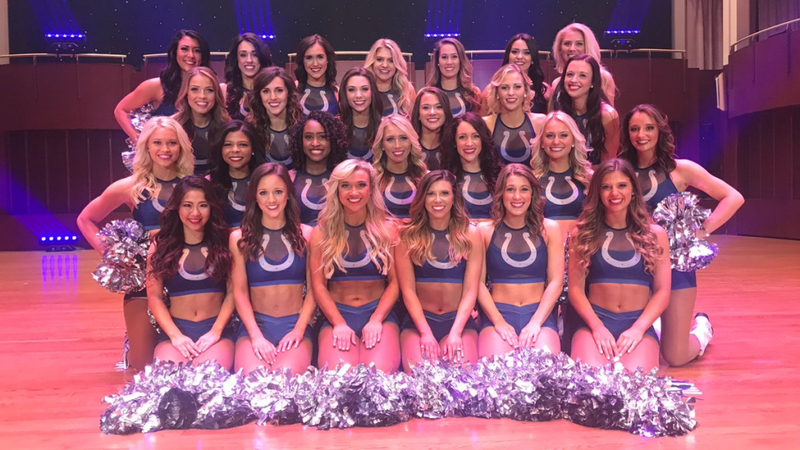 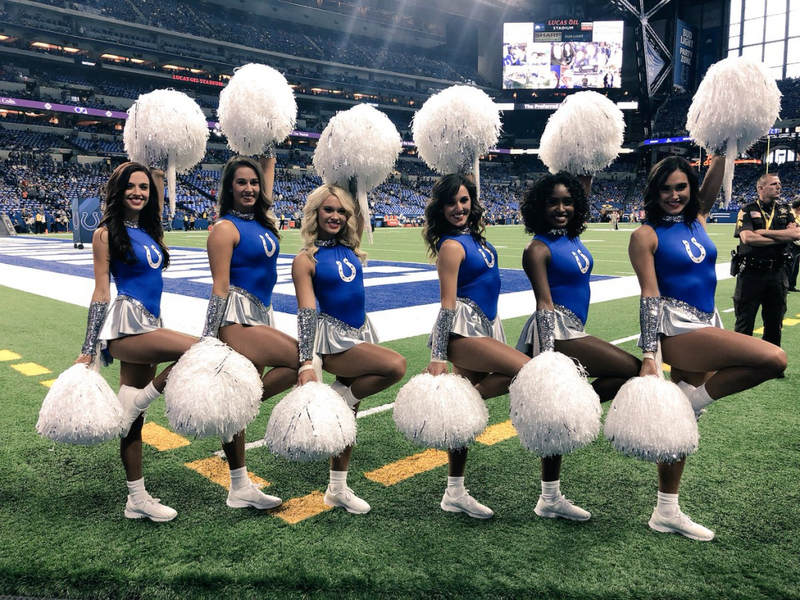 The Indianapolis Colts Cheerleaders were celebrating 35 years of existence and the current squad wore throw back uniforms to honor their past. 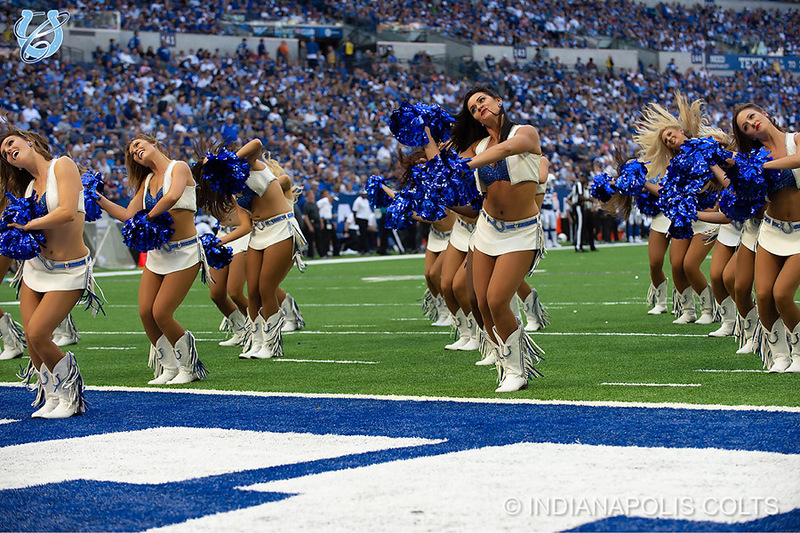 Click here to view their large gallery of images…lots of nice one there. 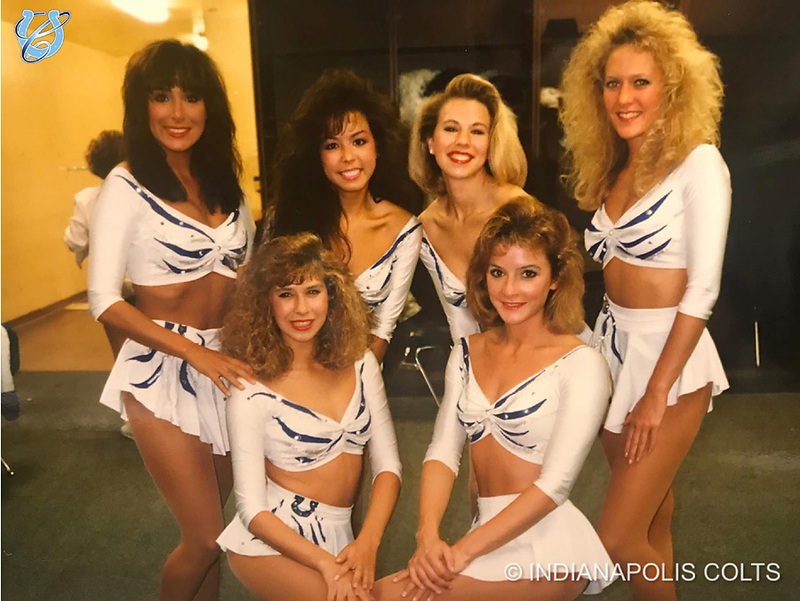 It’s the 35th anniversary of the Colts Cheerleaders and this weekend the Indianapolis Colts Cheerleaders wore some amazing throw back uniforms. 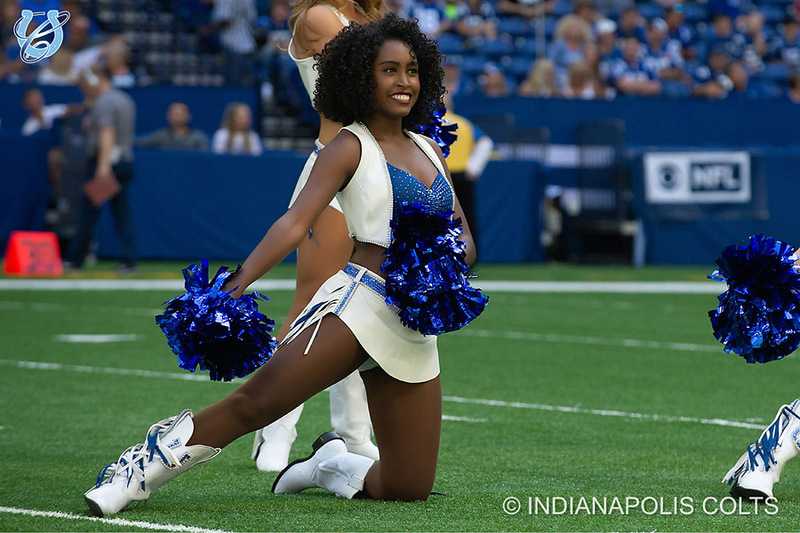 Until the Colts post a game day gallery from week 1, we will have to satisfy our curiosity with a look back at the Colts Cheerleaders uniform of the past. 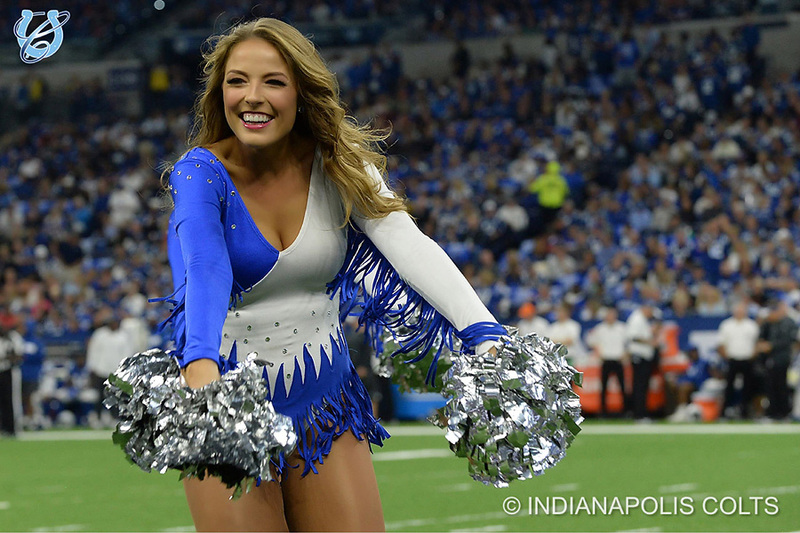 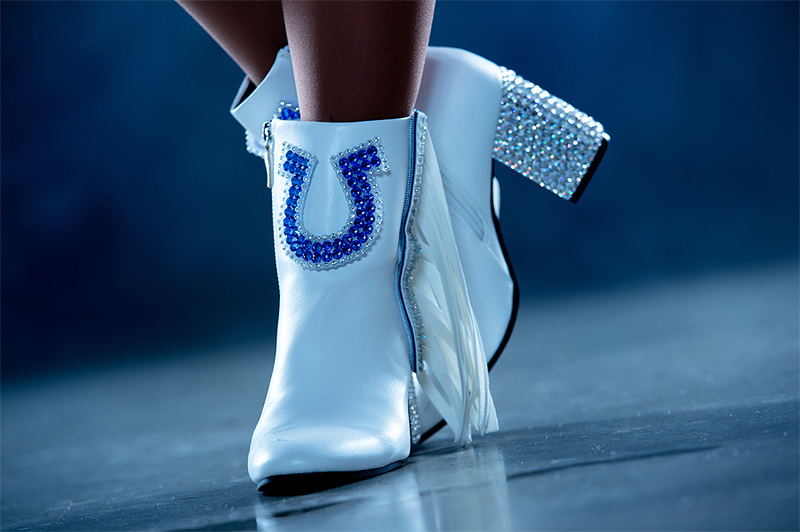 Click here to view the Colts Cheerleaders historical uniform gallery. 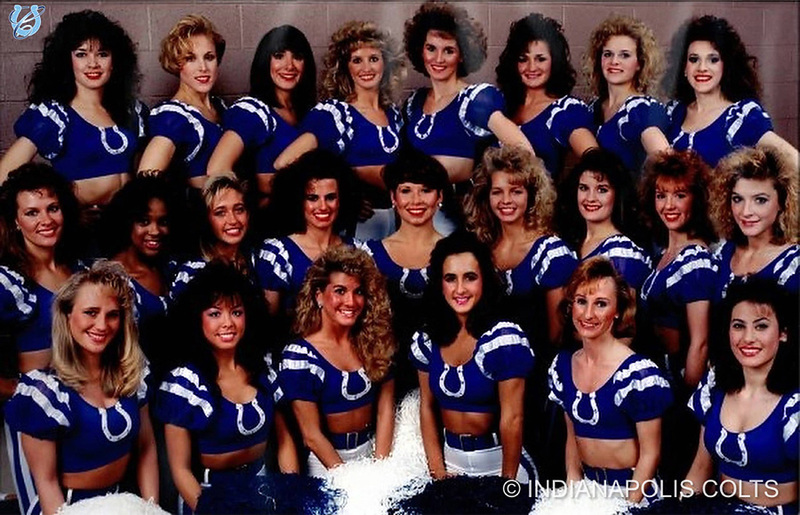 Kudos to the Indianapolis Colts for publishing this retrospective on the history of the Colts Cheerleaders uniform. 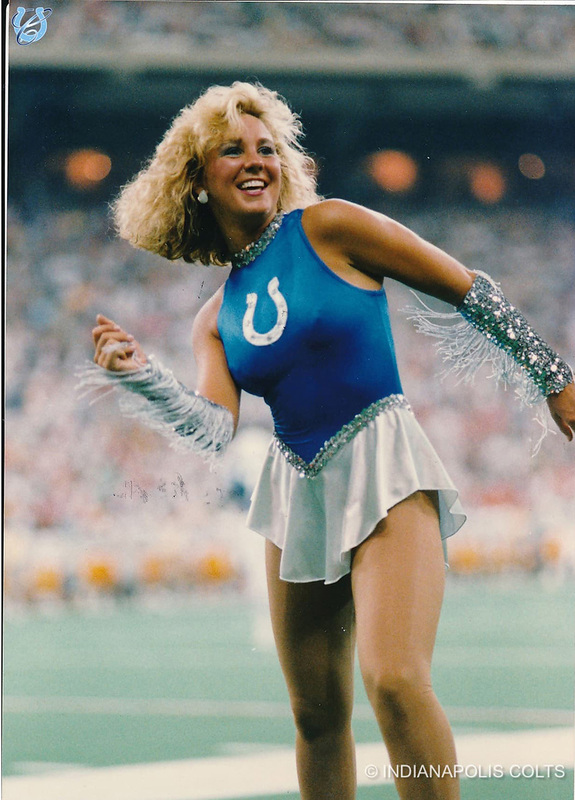 If you are as old as I am, you enjoy these trips down memory lane to see how far things have evolved over the years.